Surbiton Plantation Shutters from your local shutter experts. 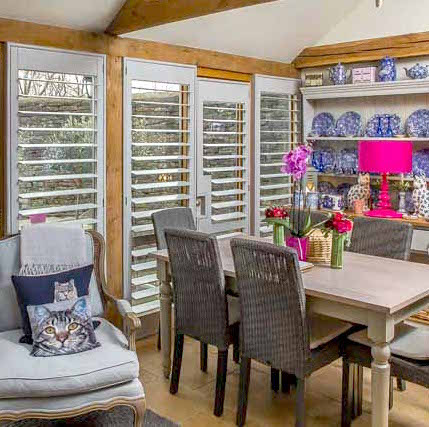 Local husband and wife team Simon and Georgina Broadhurst are delighted to bring the finest interior shutters to the homes of Surbiton and the surrounding areas. Surbiton is a popular suburban area of the Royal Borough of Kingston upon Thames. It is a picturesque town next to the River Thames with a lovely family feel and relatively quiet streets. It is easy to see why its charms appeal to an ever-expanding community of discerning shutter lovers. The residents have fallen in love with Surbiton for many reasons, not least of all its enviable transport links and handy proximity to London. The homes of Surbiton are an eclectic blend of spacious and grand late-19th century townhouses, Art Deco Courts and a vast sea of semi-detached 20th century housing estates. But one thing is for sure, whichever type of property people choose in Surbiton, discerning homeowners are seeking out shutters for their properties. Furthermore, with the largest range of styles and finishes in the UK; including some exclusive ranges, Just Shutters have the shutters, and expertise to match any home and taste. Browse our extensive range by clicking here. – Exceptional light control – have you ever worried that adding shutters to your windows would block out the light? You couldn’t be more wrong, we can show you that when angling the louvres correctly you can actually bring beautiful, ambient light into your home and bounce light off your ceiling to stunning effect. – Privacy – gone are the days when people used net curtains to provide privacy in their home. But if you live on a busy road or an overlooked plot shutters can offer the optimum solution whilst delivering style credentials by the bucket load. – Sound insulation – suburban homes can suffer from noise pollution either from traffic or neighbours. Shutters add an extra layer between you and the outside world and this can reduce noise significantly. – Energy efficiency – keep your home warm in Winter and cool in Summer. The most energy efficient window covering available to you. Lower your energy bills and do your bit for the environment. To find out more please click here. – Low maintenance – we would like to say zero maintenance, but this is a big claim. You will need to dust your beautiful shutters once in a while, but apart from that our lifetime guarantee means you really are covered. No need to launder or dry clean like curtains or blinds. Simple stylish and practical. – Allergen reduction – removing soft furnishings from your home reduces dust mites. Curtains and blinds are often a culprit of exacerbating allergies so remove them and fill your home with our custom made shutters. 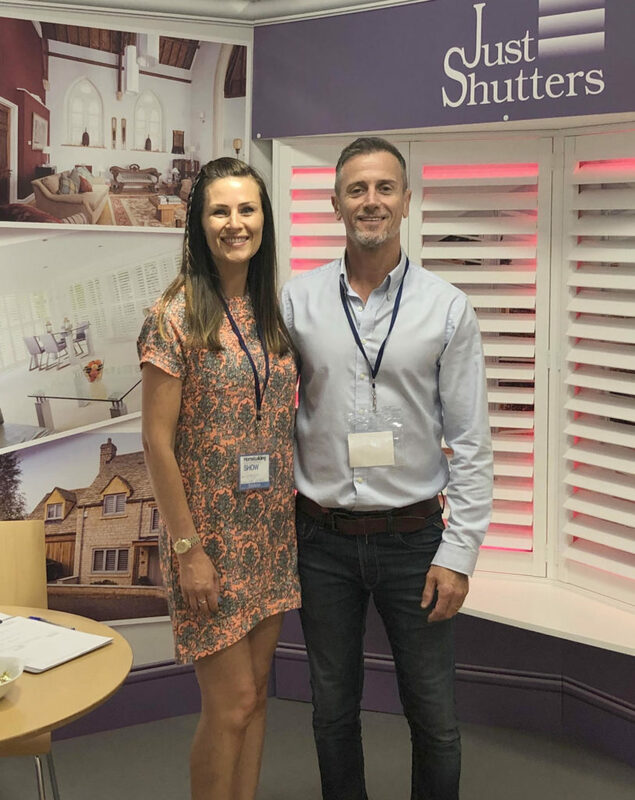 If you would like to explore the options for shutters in your home in Surbiton then do not hesitate to get in touch with Simon and Georgina, Just Shutters Surrey on 01932 500 270. We really enjoy sharing our advice, guidance and offering inspiration during a no obligation design visit at your home. Shutters fitted to four windows. Surbiton plantation shutters.